The 2017 Audi TT gets a handful of upgrades for its second model year, including a standard rearview camera and available Apple CarPlay. But the biggest news is what came with the car last year: The 3rd-gen Audi TT is a technological powerhouse and performance marvel, designed to compete against cars like the BMW Z4, Infiniti Q60 and Porsche Boxster. Audi convertible both comfort and class. Sport look, handles well even in snow. Paddle shifting is not like manual transmission. Comfortable. Great sound system, convertible is easy, no air leaks, nice option for summer. Warm air at neck is also nice in cold weather. Leather seats have great warming, no heated steering column. My favorite part: it is a head-turner! I am in love with my tt. Before I bought it, I compared a lot of other similar cars and none of them compared. The interior of the car is arguably my favorite part; it is both comfortable and beautiful. Audi's all-wheel drive system is unbeatable, so the car handles amazingly a high speeds. 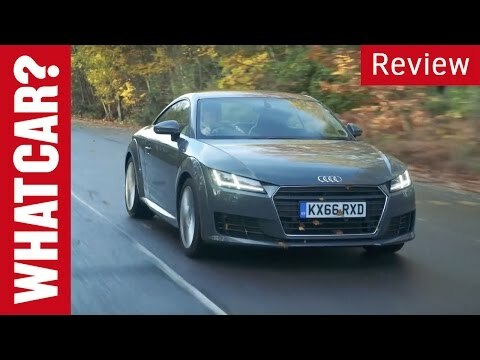 2017 Audi TT review | What Car?